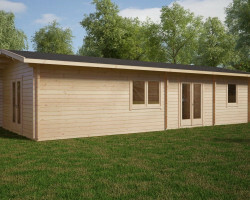 cabins that we are able to deliver to you in just 2-3 weeks from order. 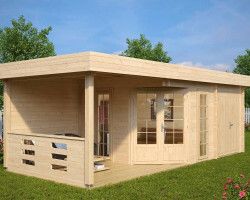 At our online store, you will get garden summer houses at great factory prices. 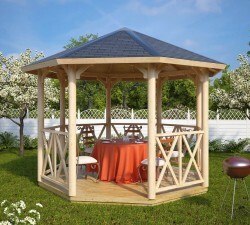 We do not stock expensive brands. 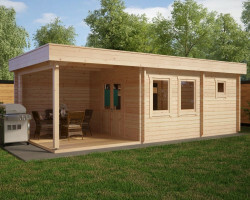 We don’t have fancy distribution companies and agencies. 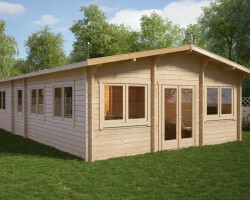 What we do offer is high quality garden buildings at unbeatable prices directly from our partner factory. 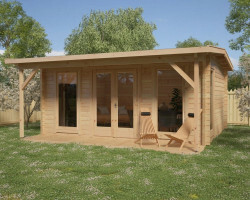 Most of our log cabins are easy to install yourself. 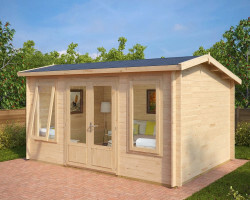 Building your own garden office or shed is a one-to-three-day DIY project for two people, depending on the size and model. 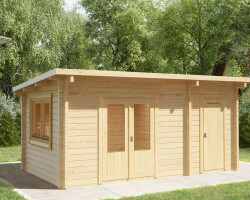 All our small and medium-sized wooden garden houses can be easily installed without hiring an assembly company. 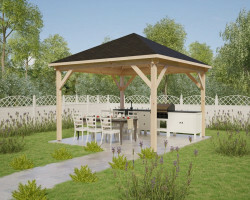 Designing, producing, and delivering the highest quality wooden garden buildings is what we do day in day out. 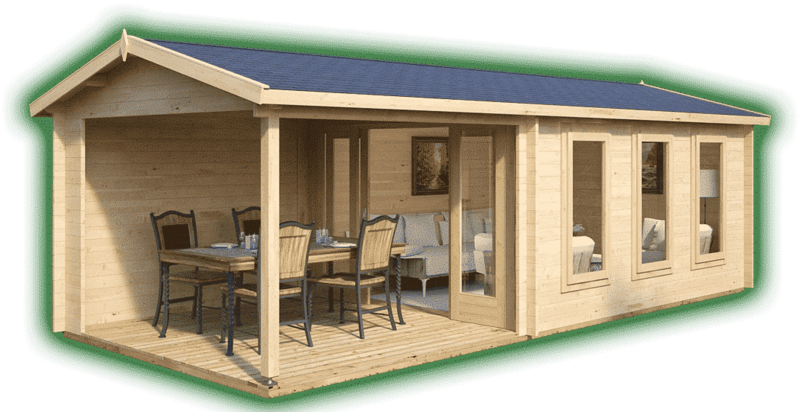 We offer a wide choice of log cabins for gardens, professional expert advice, friendly service, and the best quality for the lowest prices. 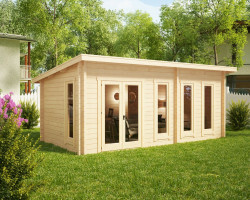 Natural beauty, coziness, affordable prices, easy installation, and durability are just five great reasons to buy a wooden summer house from Summer House 24. 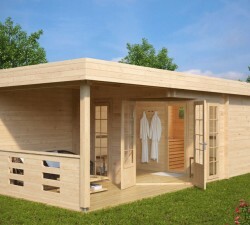 Nothing can compete with the natural beauty of a wooden garden building. 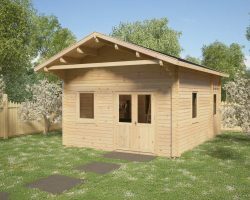 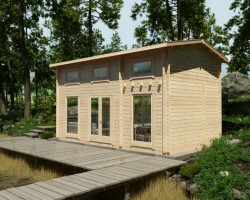 Summer House 24 – Buy Garden Log Cabin from Experts! 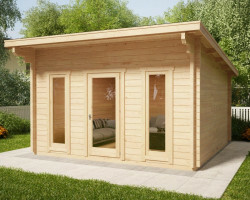 If you are looking for a top quality Garden Summer House at a low price, then you have come to the right place! 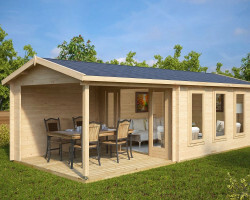 Summerhouse24.co.uk is not just a place to buy a summer house. 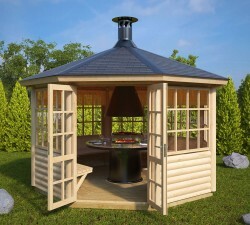 We are log cabin and garden building experts. 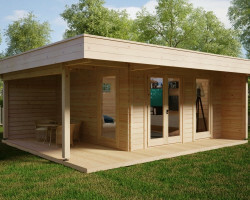 Our company designs, produces, and delivers a wide choice of contemporary garden rooms and modern summer houses. 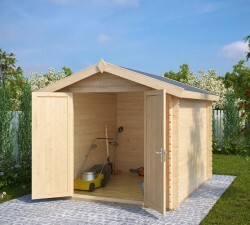 We offer high quality at low prices. 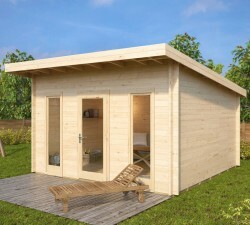 These are not just words. 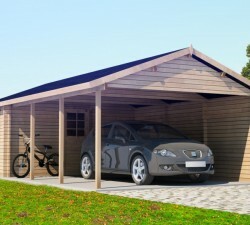 We are able to deliver this promise because of our many years of hard work, innovation and product development. 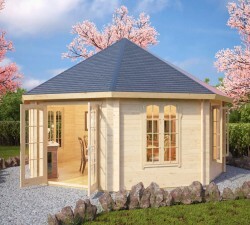 We deliver all our garden buildings directly from the factory and do not buy in third party components. 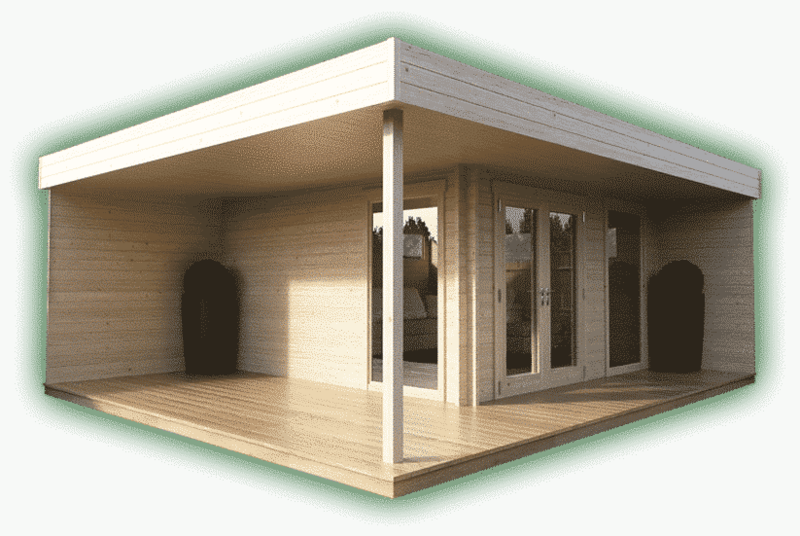 This way, we know every component and can control the manufacturing process from start to finish. 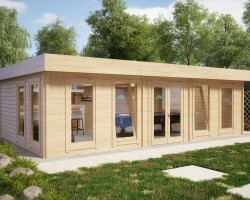 Our factory is equipped with the latest wood processing technology. 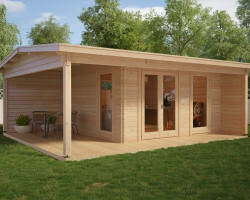 This enables us to offer an extremely wide choice of summer houses and garden rooms with the highest quality on the market. 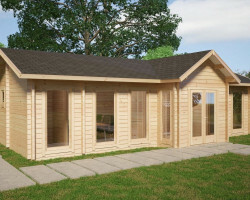 Our experts are always on hand and happy to help you select the right log cabin or building that suits your needs best. 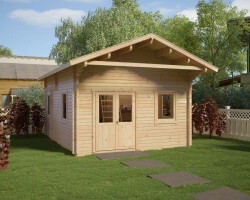 Large and attractive log cabin and garden building display sites. 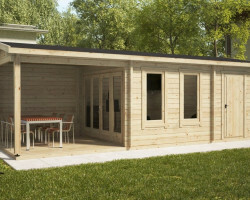 Our Summerhouse24 display site set in the heart of the beautiful South Hams can be found on the historic Dartington Hall Estate. 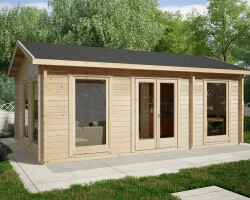 You’ll be sure to receive a warm welcome, seven days a week from our friendly and knowledgeable team. 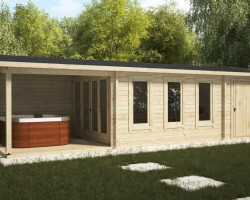 With five different cabin models on display, you can see examples of a Sauna cabin, BBQ hut, Garden office etc as well as different roof styles and wood thickness. 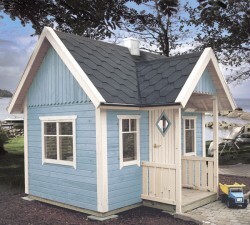 You can also have a go on our Virtual Reality system and play around with changing the cabins colour, model and roof type at the touch of a button! 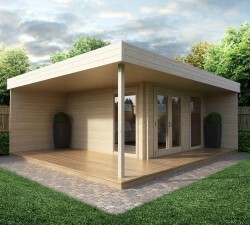 The Summerhouse24 team can answer any questions or concerns you have and help you choose the right model for you. 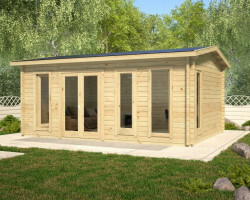 Conveniently located just ten minutes from the A38 South to Plymouth, Exit for Totnes and Dartmouth, use post code TQ9 6TQ for sat nav. 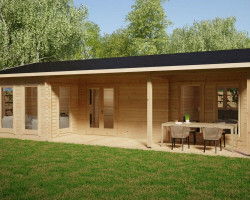 There is plenty of parking and you can come and enjoy lunch in one of the on site restaurants or peruse a range of interesting shops. 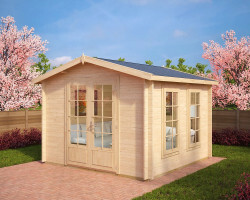 No matter if you are from: London, Birmingham, Leeds, Glasgow, Sheffield, Liverpool, Manchester or any other city, we serve whole England, Scotland, Wales and Ireland. 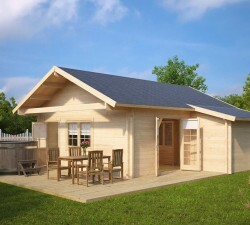 Delivery of our flat pack log cabins is free to most areas of the UK.